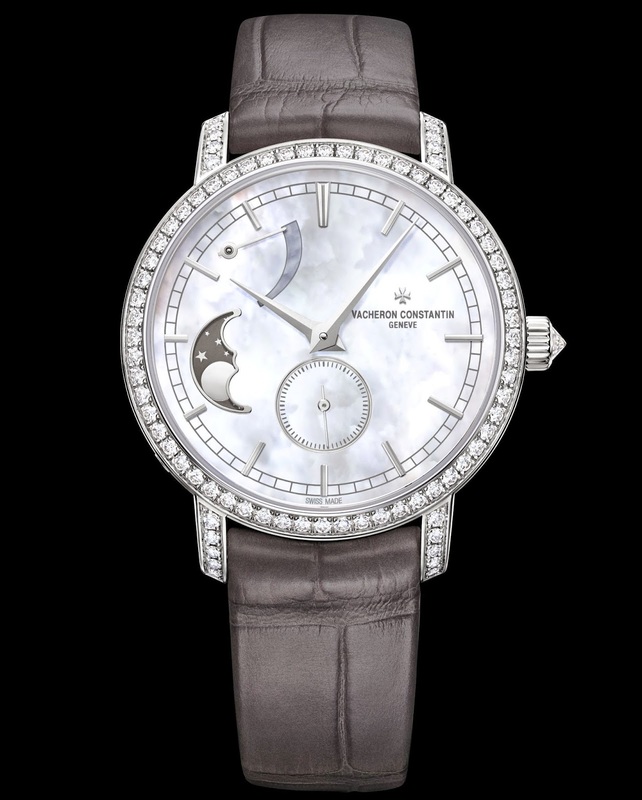 Vacheron Constantin enhances its Traditionnelle collection with a new Vacheron Constantin ladies’ model, which blossoms within the rounded curves of a delicately gem-set case and features one of the most poetic of all Fine Watchmaking complications: moon phases. 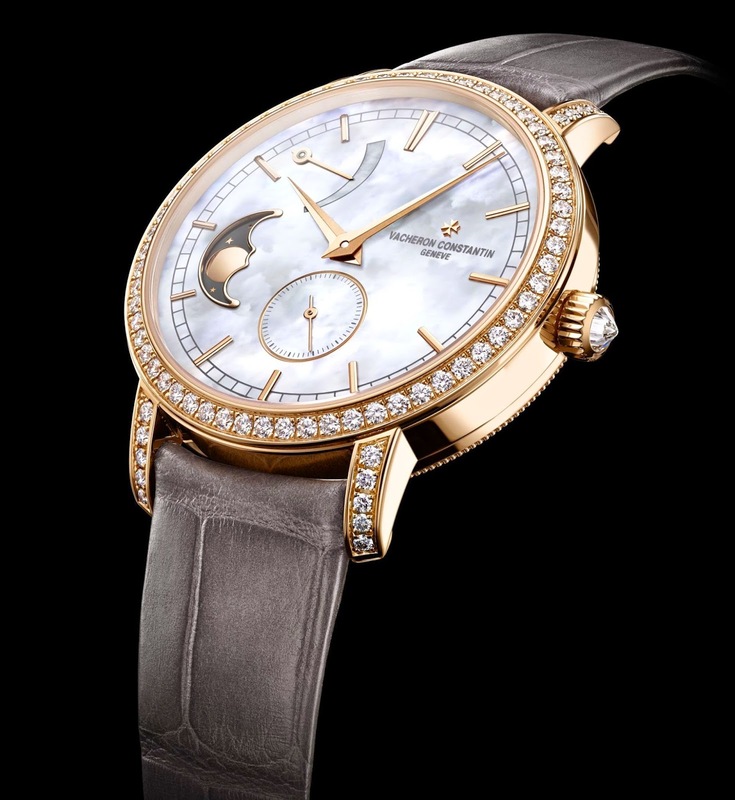 Ladies’ watches have a central place in the history of the Vacheron Constantin Manufacture. This expertise dates back to the beginning of the 19th century, a period that saw the emergence of the first ladies’ pocket watches. The creation of dedicated timepieces remains a strong point of the Maison, giving them a very special place within its collections and its developments. 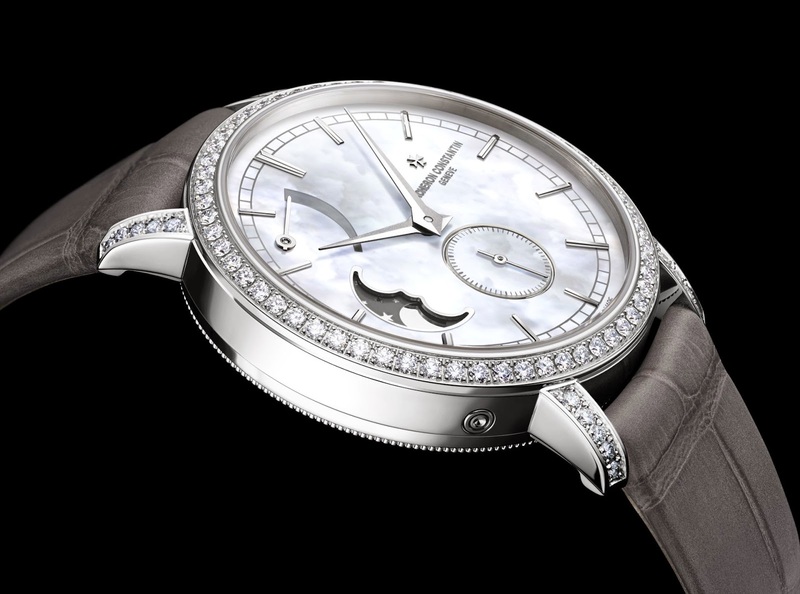 Witnessed in the new Traditionnelle moon phase and power reserve small model, the subtle and refined horological complication is revealed in a feminine interpretation. 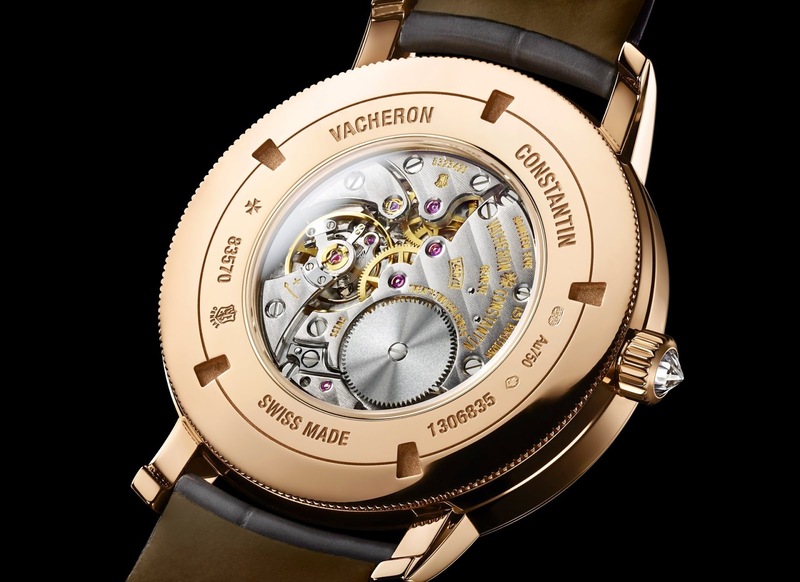 The hand-wound calibre 1410 beating gently at its heart is entirely developed and crafted at Vacheron Constantin. 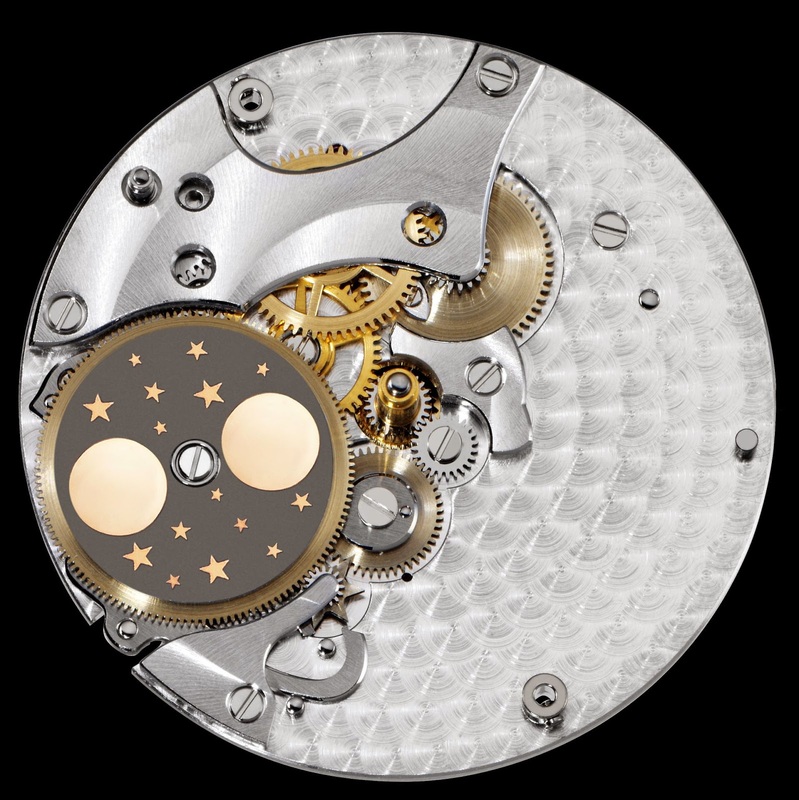 Equipped with a high-precision gear train, the sophisticated mechanism of Moonphase function – also referred to as an “astronomical moon” – requires a single-day adjustment only once every 122 years. In addition to displaying the hours, minutes, small seconds and moon phases, this Manufacture movement offers a pointer type indication of it’s over 40-hour power reserve. 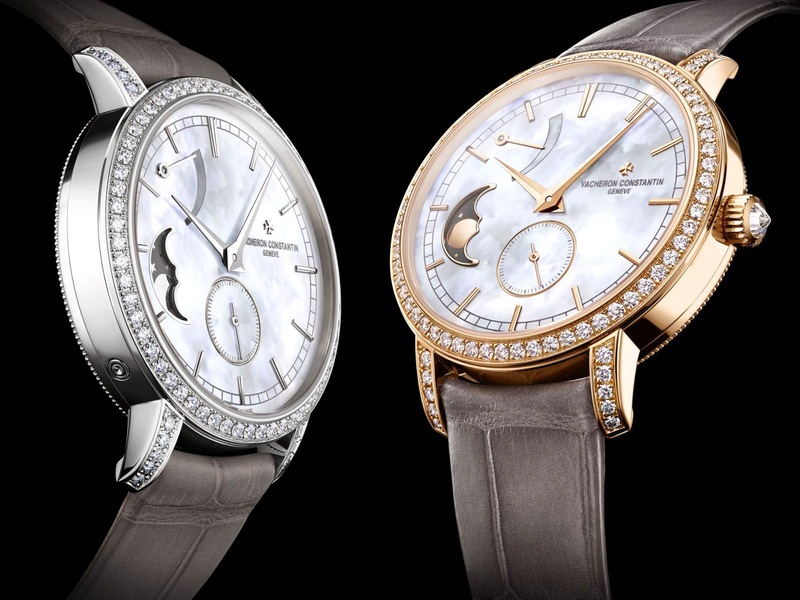 Dressed in a pink or white gold exterior, the Traditionnelle moon phase and power reserve small model boldly asserts an aesthetic imbued with authenticity. 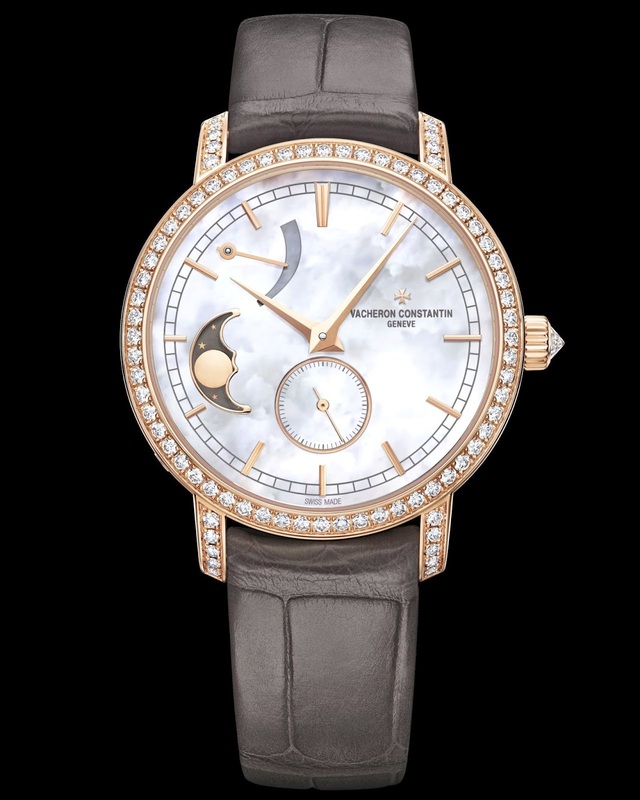 The charm of a shimmering white mother-of pearl dial is framed by the dainty curves of a 36 mm-diameter round case set with 81 diamonds for a total of approximately 1.2 carats. Lit up by the gem-setting on the bezel, lugs and crown, this discreetly refined model is a distinguished embodiment of the identity codes of the Traditionnelle collection to which it belongs: a slender bezel, a knurled motif surrounding the screw-in case-back fitted with a sapphire crystal, a painted minute circle, solid gold “Dauphine” hands and facetted hour-markers. The understated elegance of this model matches with a grey alligator leather strap, accentuating the timeless style of a timepiece that leaves nothing to chance. Revealed through the transparent case-back, the prestigious hand-wound calibre 1410 bears the Hallmark of Geneva, a highly demanding token of quality based on strict criteria that only a few Manufactures are prepared to meet. This Hallmark also guarantees exceptionally meticulous hand-crafted finishes. The flat surfaces are adorned with Côtes de Genève, the sharp edges are bevelled and hand-polished, as are the flat-head screws.